Pretty cool looking wireframe iDevices, for Adobe Illustrator. “It’s free so you can use it in whatever you like!” says the author. 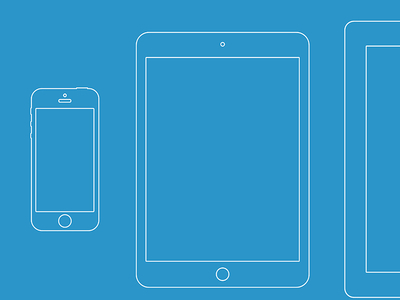 Wireframe iDevices is a free Mockup design resource made by Dribbble user Jeffrey de Groot. As far as I can tell, its license is Free for Commercial and Personal Purposes.